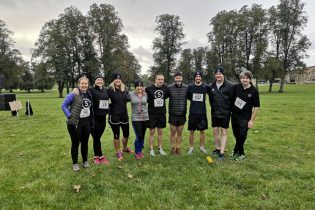 This was our fourth year entering a Stage One team for the Bramham Fun Run and yesterday our nine-strong team braved the chill and completed the course in aid of Cancer Research UK. Even injury didn’t put off Gemma Webster, our Mechanical Design Engineer, who walked the course accompanied by her 5 year old daughter who put in a last-minute sprint finish to beat both of her parents. 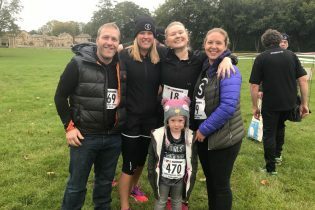 The 5k and 10k runs at Bramham head across country, winding their way up and down through the undulating terrain of the Bramham Park estate. Despite the fact that many of us ‘don’t do hills’, we all completed the course. If you’d like to donate, our Just Giving page is still taking donations and every pound will be matched by Stage One: Donate here. This year, our Health & Safety expert John Brotherston doubled everyone else’s efforts by completing the 10k run. Hats off to John and the rest of the team. A good job, well done. Congratulations! Well be back at Bramham next year. If you’d like to join us – let us know! Meanwhile, we’re looking forward to some well-earned cakes at our Macmillan Coffee Morning this Wednesday.